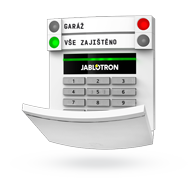 The JABLOTRON 50/100 is a revolutionary Hybrid alarm system designed to protect premises. 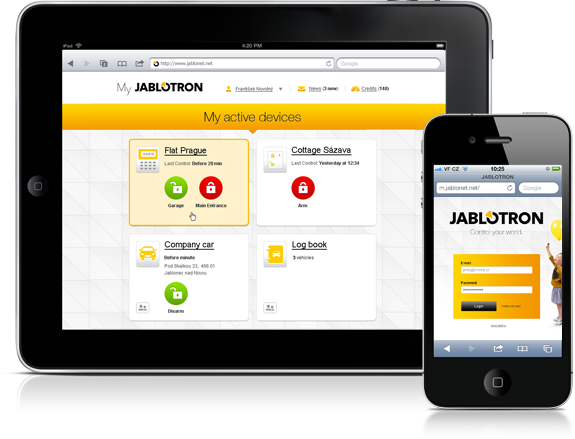 The Jablotron is suitable for both residential as well as Shios, Offices, Warehouses, etc. The system also offers home automation. Thanks to the revolutionary control system the Jablotron is the first alarm which you will understand immediately without fear. The alarm is developed for people! The visual apperance of individual devices was created in collaboration with top designers. 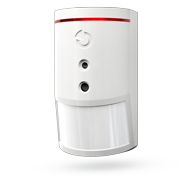 The PIR Motion Detector with Camera detects movement within the guarded space including visual alrm confirmation . It is equipped with a flash and infrared lightlight for taking night pictures. The camera takes digital colour still shots during an alarm in JPEG format.. If a movement is detected the camera takes a series of picturees. These pictures are saved in the internel memory of the detecor and Transmitted to the control panel in compressed format. From there the shots are transmitted to your cell phone or pc. Thanks to the FREE self service internet access you will be able to reachalarm anywhere from your computer or smartphone. 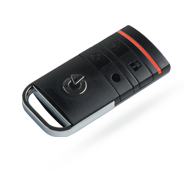 Control the alarm and view the events without any limitions.